BECOME THE ULTIMATE BATTLECASTER The ever powerful Kaos has opened a rift into a mysterious world known as the Second Dimension. 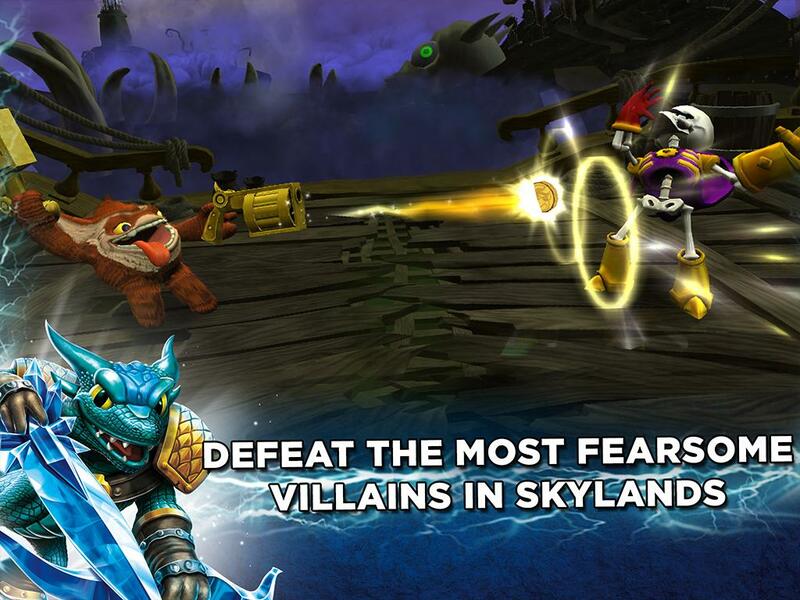 In this realm, he has dispatched the most infamous villains from Skylands in an attempt to finally destroy the Skylanders. 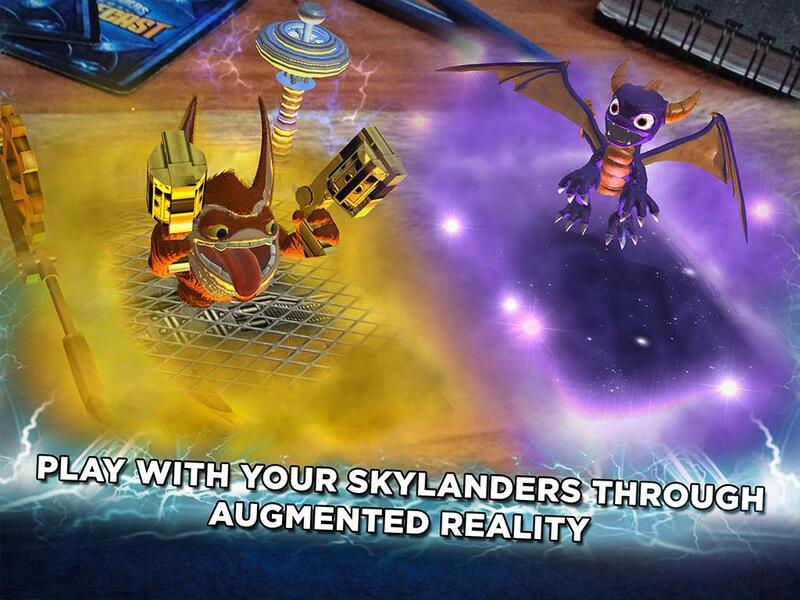 Standard rules and conventional forms of battle do not apply in this dimension, so the Skylanders must use new powers, abilities, and tactics to defeat the villains and ultimately stop Kaos! 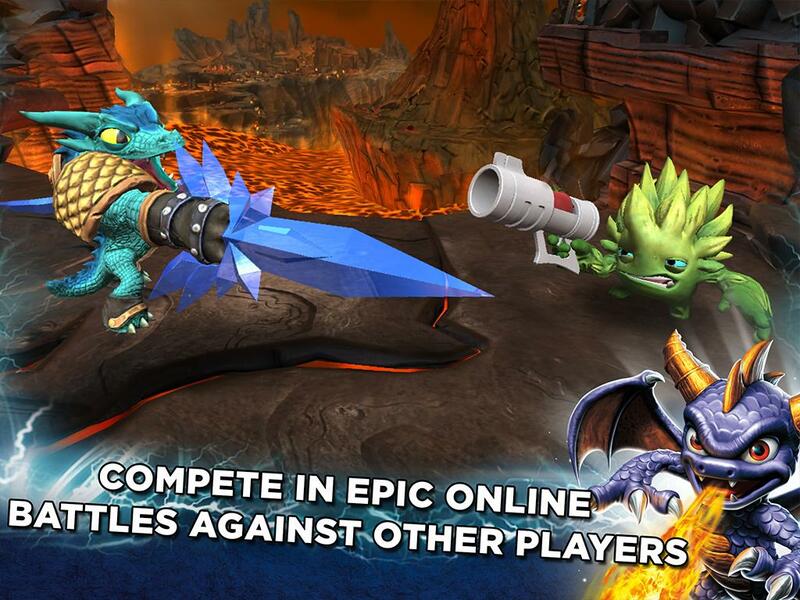 With all of its Elemental Realms captured, a new breed of hero is needed to lead the Skylanders and save the Second Dimension from being conquered by Kaos. It’s up to you to become a champion Battlecaster by collecting battle cards, building the ultimate team, and bringing them to life in epic battles never before seen! BUILD AN UNBEATABLE COLLECTION OF CARDS · Collect all 300 Character, Spell, Gear and Relic cards · Devise unique strategies by building decks that combine three Skylanders and take them into battle · Battle with your favorite Skylanders Character cards · Cast powerful Spell cards to smite foes on the field of battle · Equip Gear cards to boost your Skylanders · Change the rules of the game with mysterious Relic Cards · Level up each card to make your deck truly unstoppable BATTLE KAOS AND HIS EVIL MINIONS IN THE SINGLE PLAYER CAMPAIGN · Fight your way through over 64 missions across eight elemental islands to defeat Kaos and save Skylands from his legion of EVIL · Complete challenges on each mission to earn more rewards · Embark on daily quests to earn rewards CRUSH THE COMPETITION IN ONLINE MULTIPLAYER · Challenge Battlecasters from around the globe in online PvP · Earn bonus rewards as you strive to become the Ultimate Battlecaster BRING THE SKYLANDERS TO LIFE IN A WHOLE NEW WAY · Expand your gameplay experience with physical Battlecast cards now available at your local Skylanders retailer* · For the first time ever, you can scan physical Battlecast cards and play with your Skylanders through Augmented Reality · Import physical cards into the game to build your digital collection *Physical cards are not required to play Skylanders® Battlecast System requirements: At least 1.5 GB RAM is required. Additional device support coming soon. 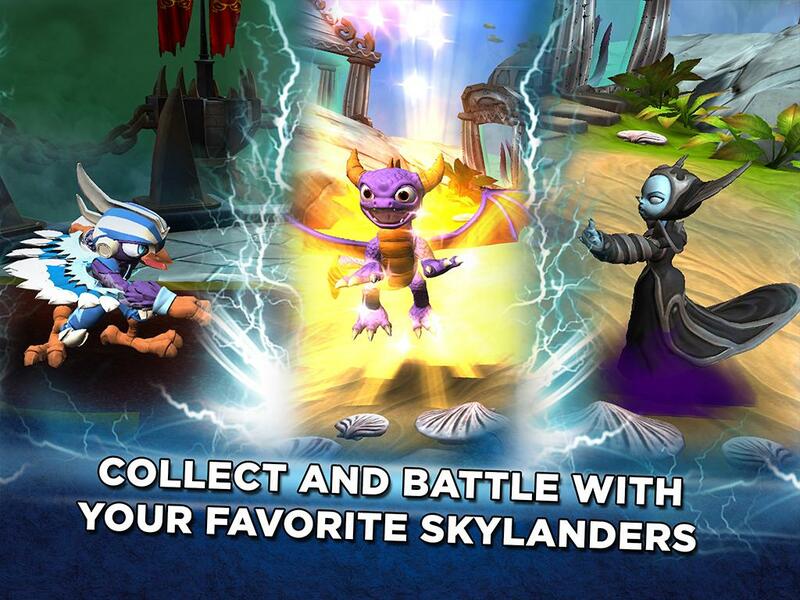  Website: Skylanders Battlecast | Activision Publishing, Inc.
 Is Skylanders Battlecast yours? Claim it!